Max Aitken was born in to a sovereign family and did not need to become a fighter pilot to serve his people but he opted to help and defend his country. 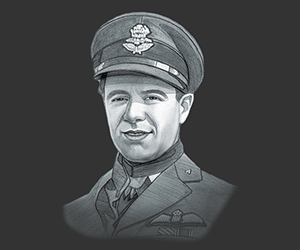 He excelled as a RAF Wing Commander and was applauded for his achievements throughout World War II. When he acquired the title Baron Beaverbrook, he disclaimed it three days after he had accepted the title. It was such a noble act for this great man to honour his father while he was still alive.by refusing his fathers title Once he had left the RAF he continued to serve his country as a Member of Parliament before becming the first "Newspaper Baron". Maz Aitken was born with a silver spoon in his mouth. The family leans towards Christianity as their religion. He went to Westminster School and Pembroke College for his education. He also excelled in ports like Soccer and scratch Golf. At the age of 30, he was already knowledgeable in flying. He would fly his aircraft in Europe and U.S. He was born on February 15th, 1910 to Max Aitken, the First Baron of Beaverbrook. He was married three times. Firstly to Cynthia Monteith in 1939 but became divorced five years later. He remarried in 1946 to Ursula Kenyon-Slaney on 1946. They had two daughters, Kirsty and Lynda. The marriage didn’t work well and they divorced after four years of marriage. His final marriage was to Violet de Trafford in 1951. They had a son named Maxwell and a daughter, Laura. His son Maxwell claimed the title Lord Beaverbrook upon his fathers death. His assignment when he joined the Royal Auxiliary Air Force was fly a Bristol Blenheim. After which, he became a Hurricane fighter pilot of No. 601 Squadron. He excelled and won eight air combats which earned him two awards simultaneously. When he was assigned to the Middle East as a Wing Commander, he was able to claim two more victories. Intotal he won fourteen air battles. After the war, he joined the newspaper family business and became director of the Express Group. In the general election of 1945, he was elected Member of Parliament for Holborn. After five years, he lost the seat to the Labour Party candidate. After he lost his Parliamentary seat, he entered the Miami Nassau Offshore Powerboat Races with his wife, Lady Violet. He enjoyed the sport so much that he created a similar boat race named the Cowes Torquay Offshore Powerboat Race. With the help of his newspaper business, Aitken also founded the London International Boat Show. 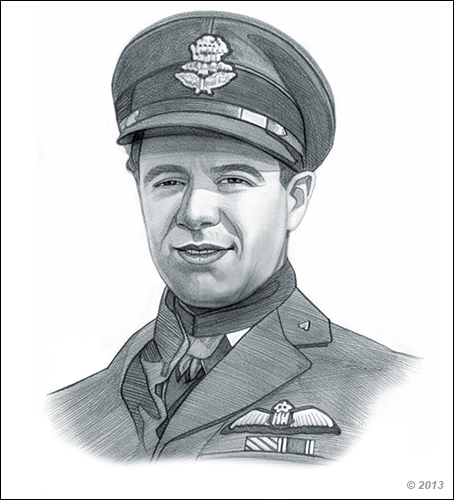 He was given both awards simultaneously in June 1940 for winning eight air combats. Max Aitken’s death was not as famous or violent as many other fighter pilots have been. He died on April 30, 1985. His son, also called Max Aitken, aquired the title Lord Beaverbrook upon his fathers death. Being a son of a baron did not hinder him to his dream of flying and serving the country during World War II. He became an excellent flyer and a good commander to his squadron. In fact, he received 2 awards simultaneously. When his father died, he accepted the title but surprisingly he disclaimed it three days later. It was such a honourable and humbling act to see a man who wanted to honour his father’s name during his lifetime. This picture of Max Aitken is Copyright © June 2014 Siteseen Ltd. We only allow this picture to be used for printed non-commercial purposes and particularly encourage it's use for printed educational non-commercial purposes. This Max Aitken picture is not in the Public Domain. 3) Use of this Max Aitken picture, or any of our pictures on websites re-distributing copyright free material is strictly prohibited.